Scott Allen has been invited to participate in ReTacoma’s forum “UNCOVERING TACOMA’S AUTHENTICITY: WHAT’S THE DRAW?”, to be held on November 17th at Tacoma’s Museum of Glass from 6:30PM to 8:00PM. Joining Scott will be Jeff Lyon, President and CEO of Kidder Mathews, and Kevin Cavanaugh, an architect and developer based in Portland, Oregon. Moderating the roundtable talk will be Tacoma architect and city councilman David Boe. 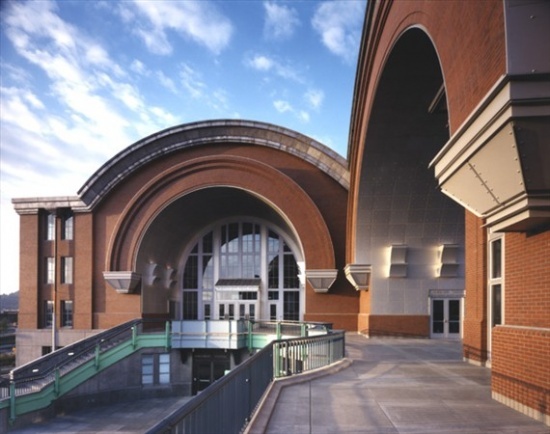 Scott played key roles in the development of Tacoma’s Union Station District: first, from 1992 to its completion in 1996, as the Associate Architect for the Washington State History Museum (with Moore/Andersson Architects of Austin, Texas); and, from 1998 to its completion in 2002 as the Executive Architect for the Tacoma Art Museum (with Antione Predock Architect of Albuquerque, New Mexico). Scott will speak about the widely divergent architectural responses to the historic fabric explored in these two major works, and the range of successful strategies cities can take in developing an authentic sense of civic space.